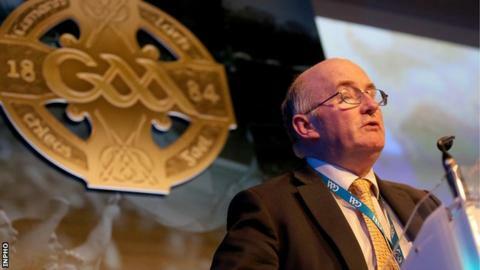 John Horan easily won the vote at Congress on Friday night to become the GAA president-elect. The 58-year-old school principal from Dublin won 144 out of a possible 278 votes and was 98 ahead of his nearest rivals Sean Walsh and Frank Burke. Horan will take over from current president Aogan O Fearghail in 2018. "Aogan is the president for the next 12 months so I'll support him and learn from him as best I can," said Horan at Croke Park. The other candidates for the post were Martin Skelly with 22 votes while 20 went to Robert Frost.